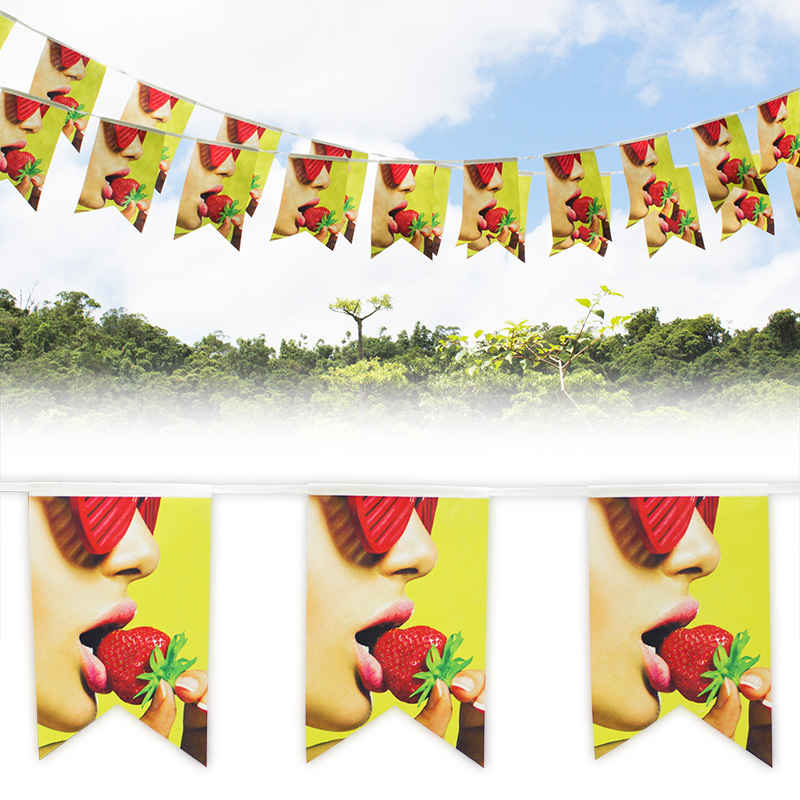 Custom printed buntings to decorate parties, stores, shops and all events. 1) Specs - Custom-Made OK. View diagram of standard items. 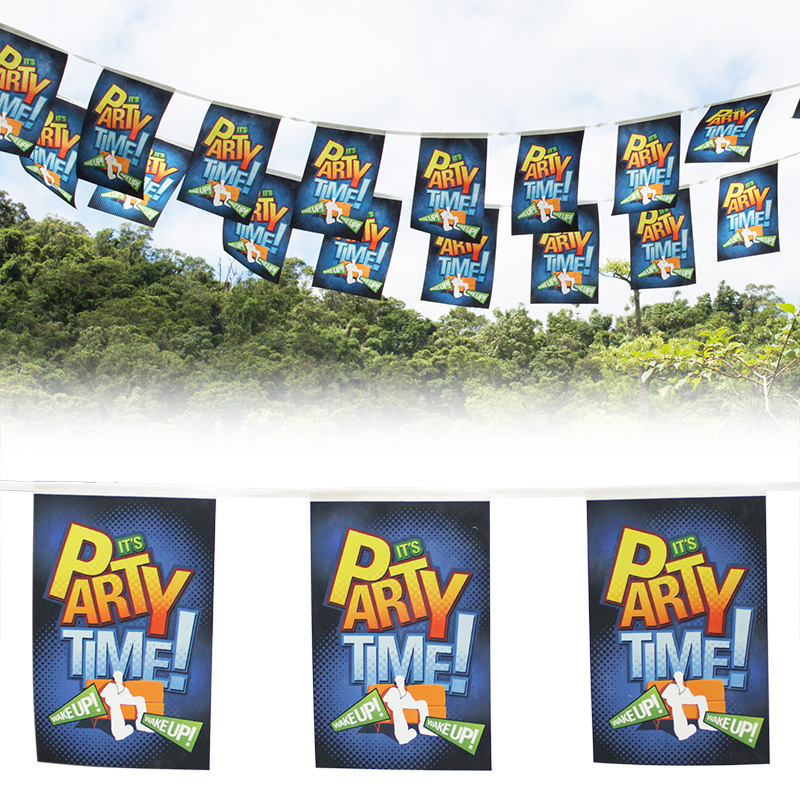 2) Material - Non-woven 80gsm, eco-friendlier than polyester, nylon or plastic, durable for outdoors than paper. 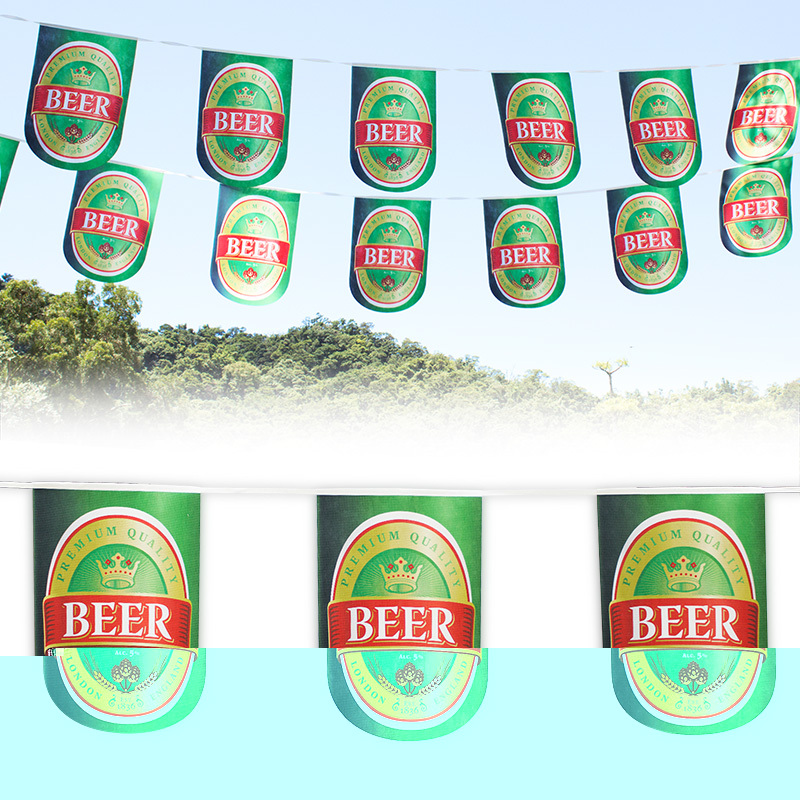 3) CO2 laser-cutting - Free-Form welcome, accept irregular shapes. No mold charge. 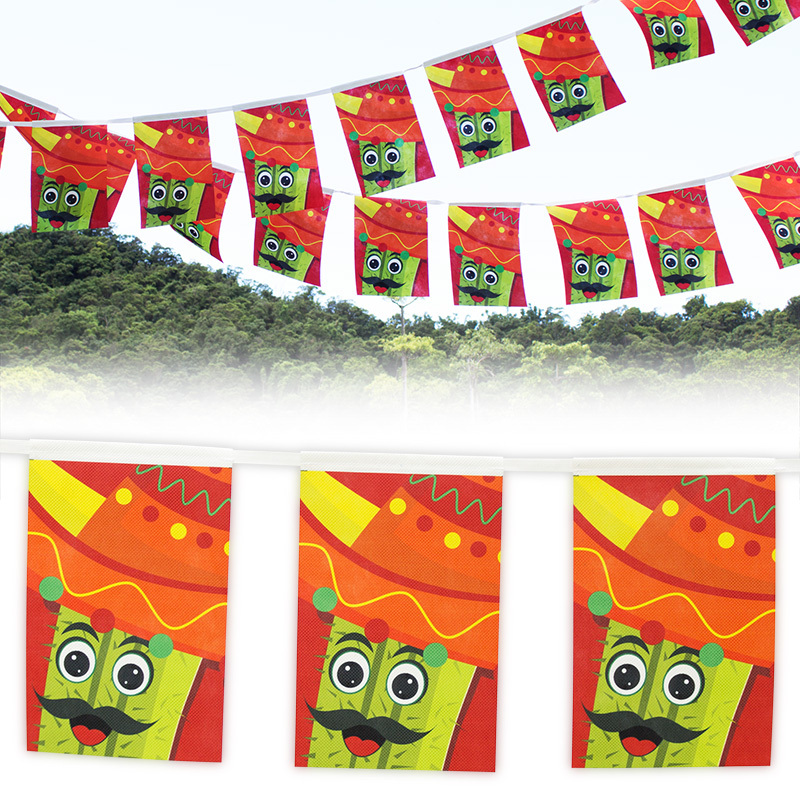 4) Sublimation – Very good colors on fabric. Set-up charge = 0. 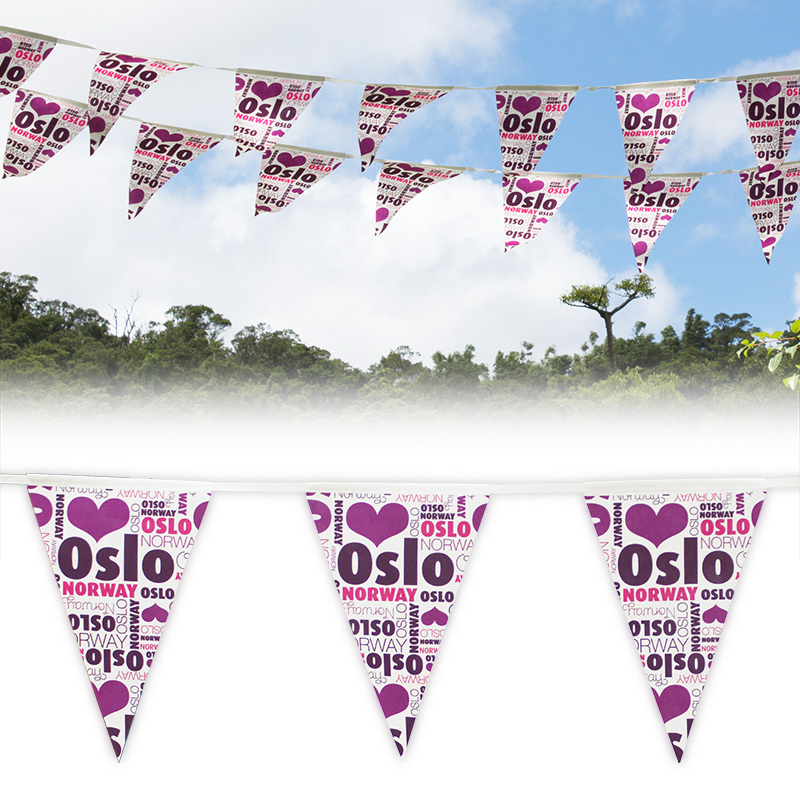 6) Designs on a Bunting - Same or different, no extra cost. 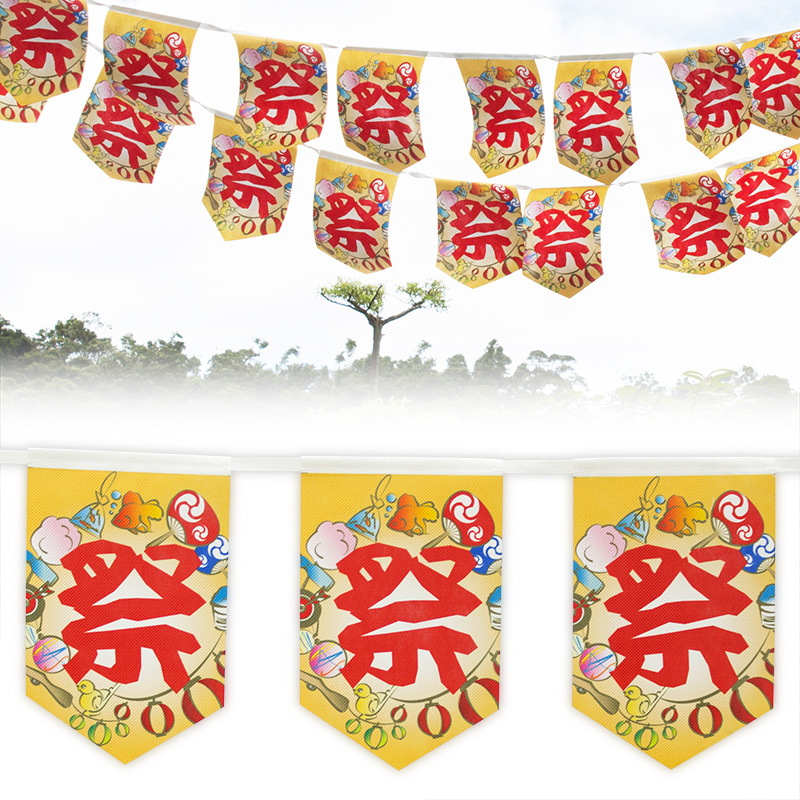 Can be a word. 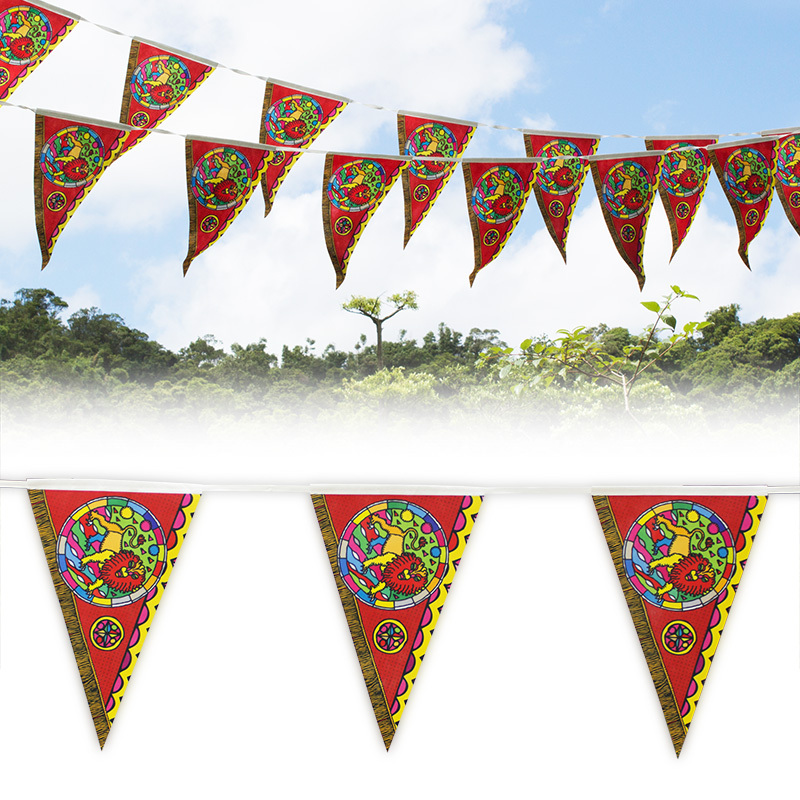 7) Shapes on a bunting - Same or different, no extra cost. 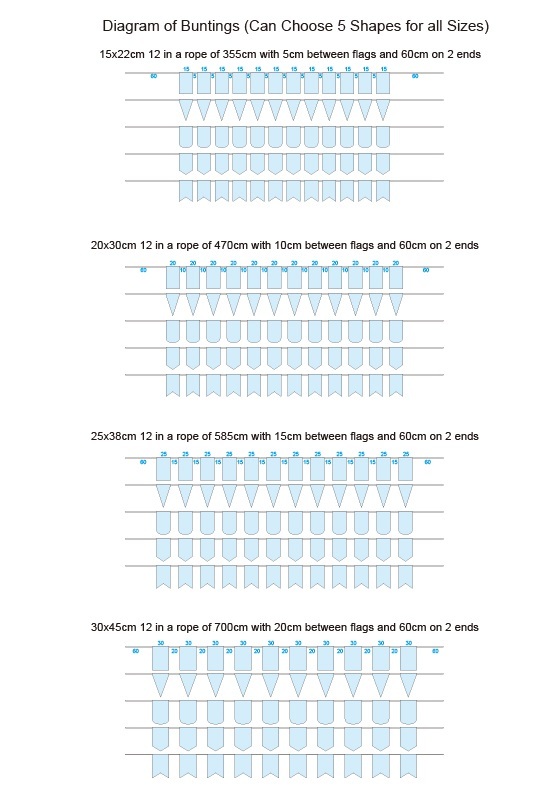 8) Sizes on a bunting - Same or different, no extra cost. 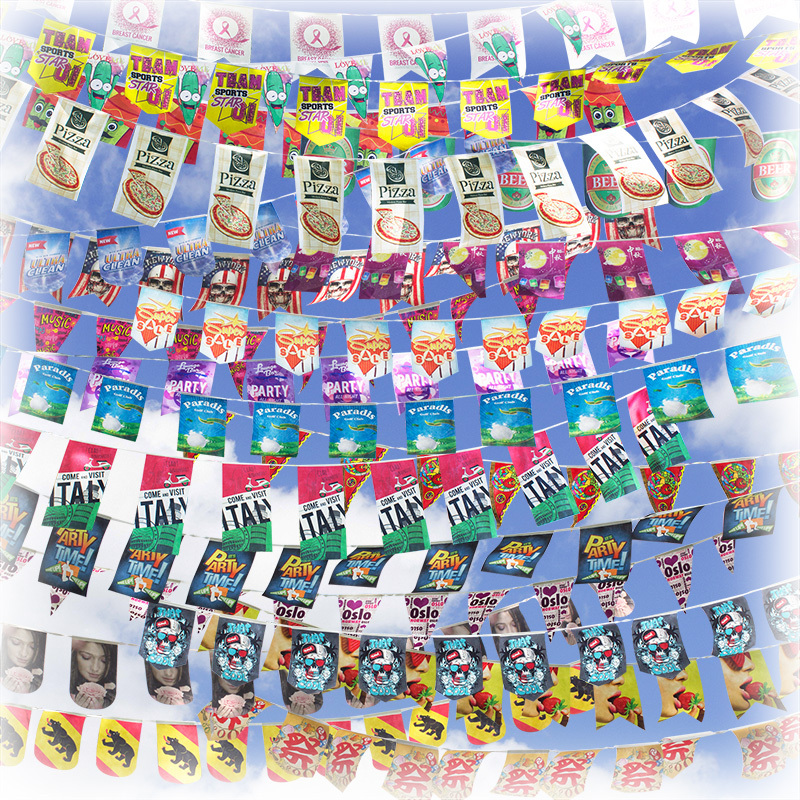 Abridged FREE sample 3 flags in a bunting available, freight collect or free to send with your next orders. 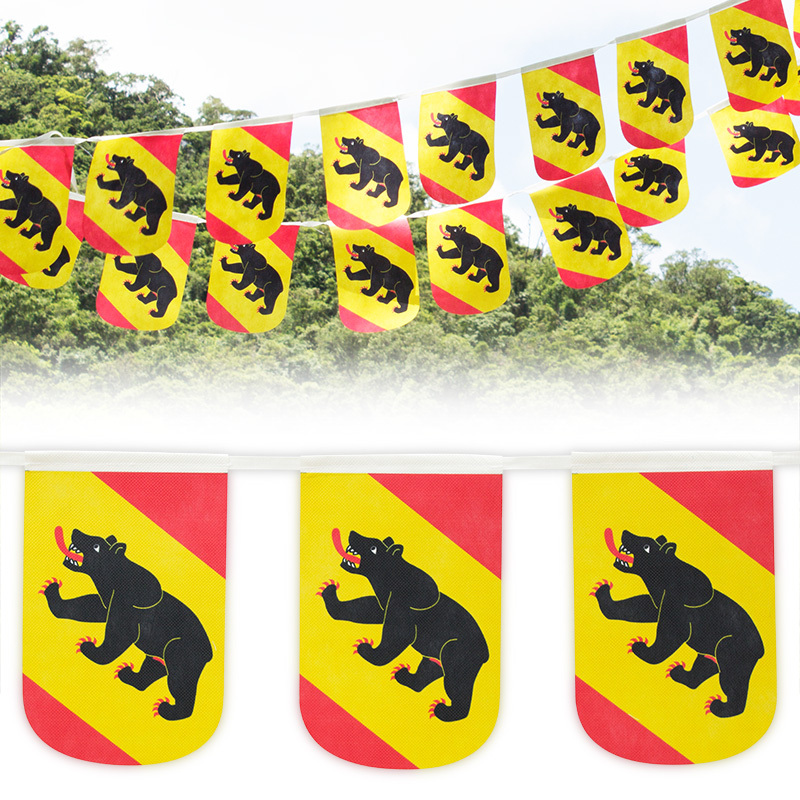 If you need a complete set of 12 flags in a butting, please contact our sales.